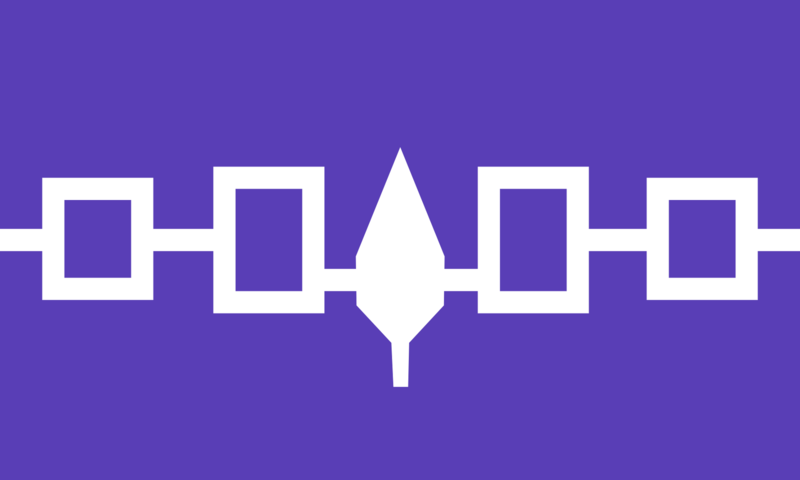 This is the flag of the Iroquois Confederacy (Haudenosaunee, meaning "People of the Longhouse"). They were known during the colonial years as the Five Nations, comprising the Mohawk, Onondaga, Oneida, Cayuga, and Seneca. In 1722, after accepting the Tuscarora into the Confederacy, they became known as the Six Nations.